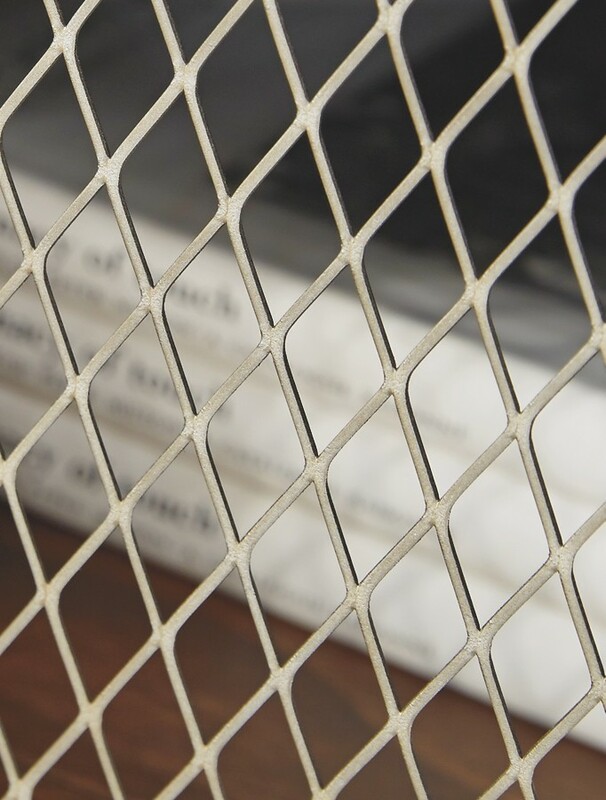 Double take. 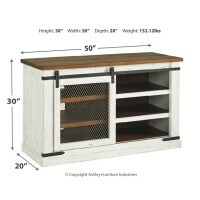 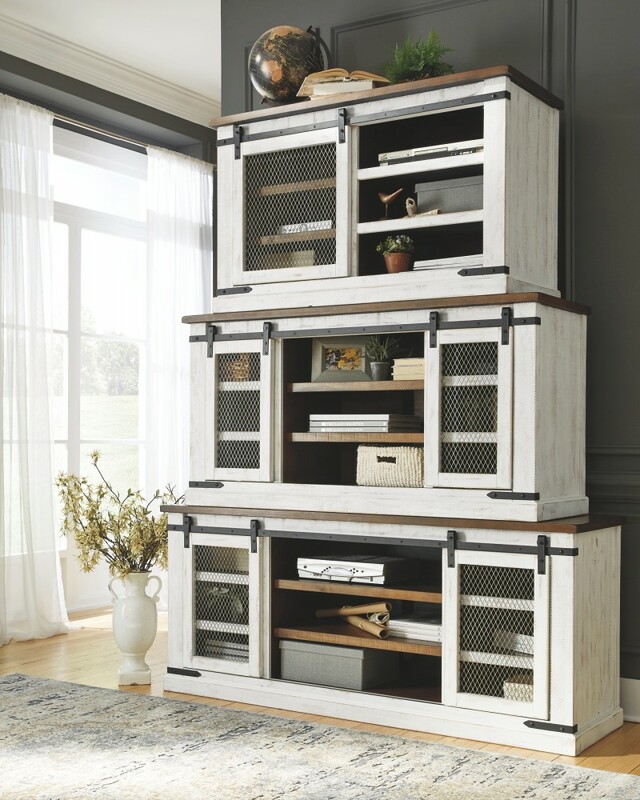 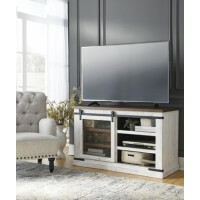 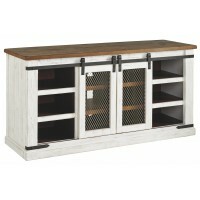 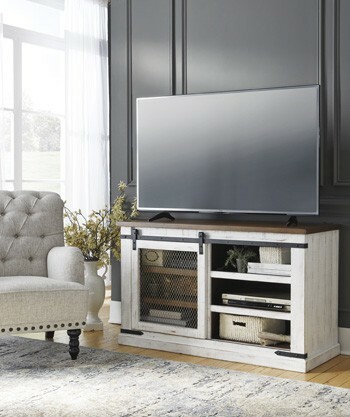 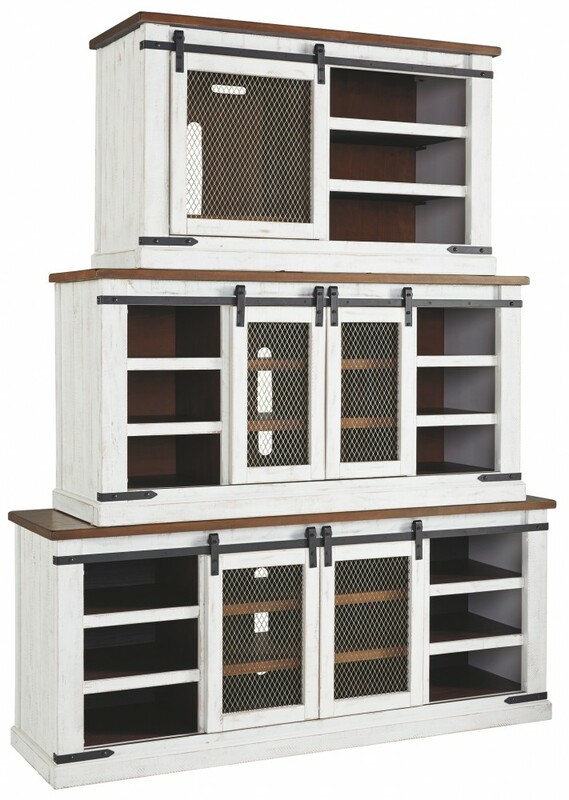 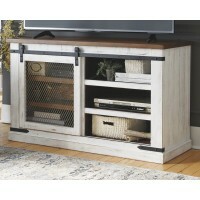 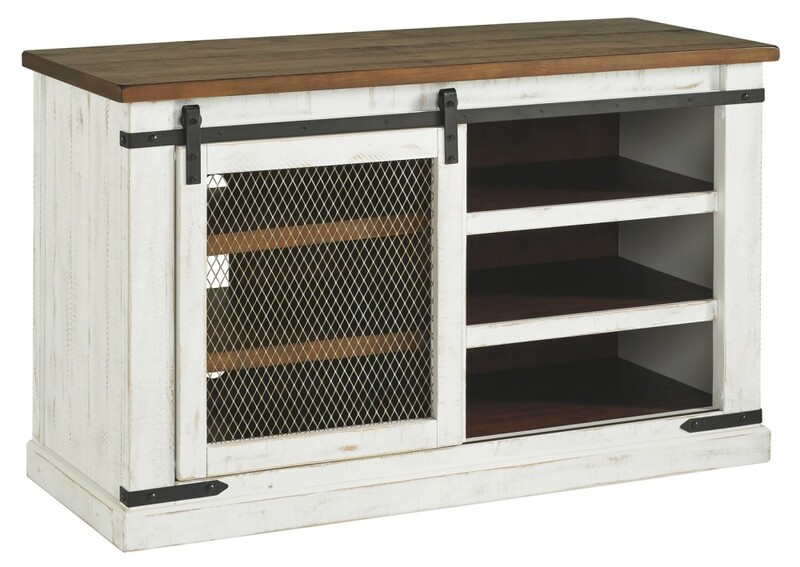 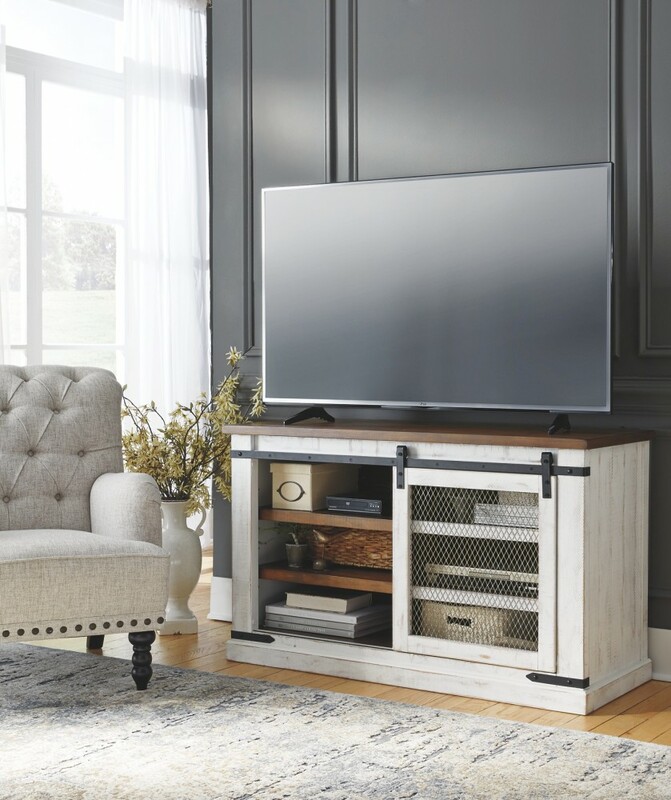 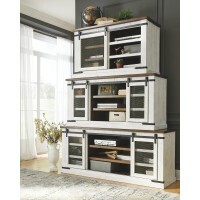 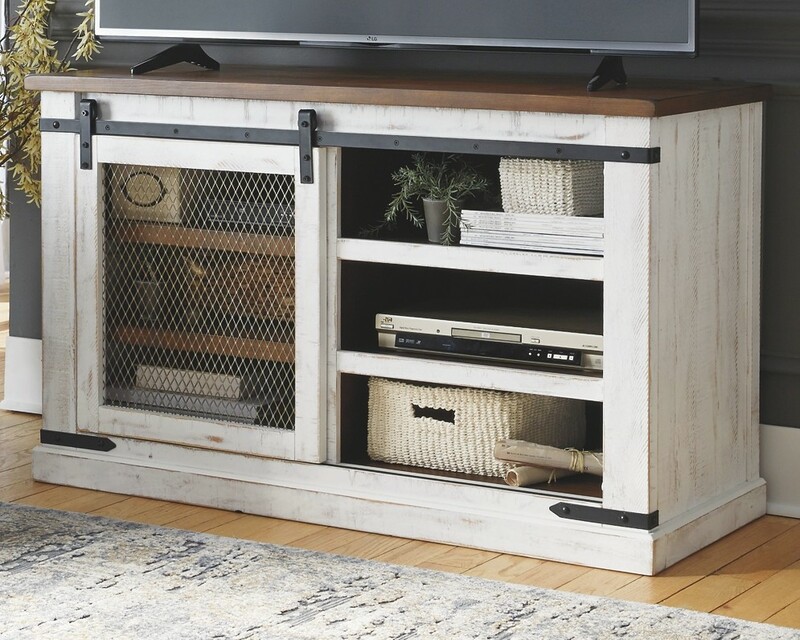 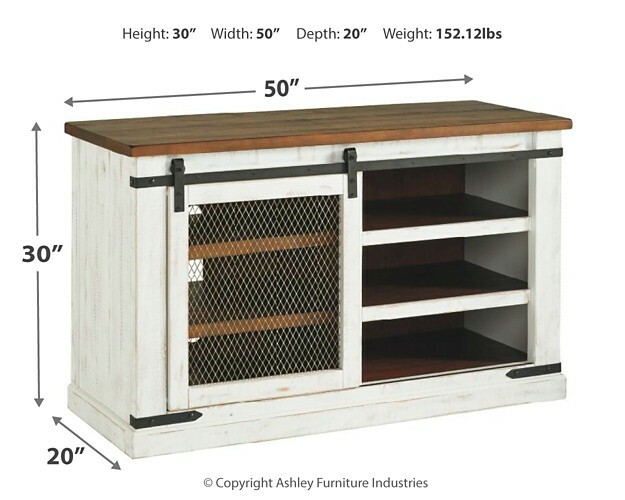 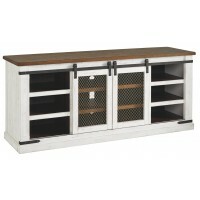 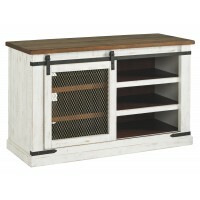 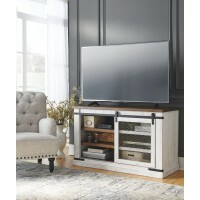 Sporting a two-tone finish that pairs a distressed vintage white with an aged natural pine-color top and shelves, this TV stand elevates the art of rustic farmhouse living. 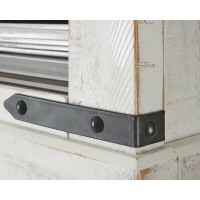 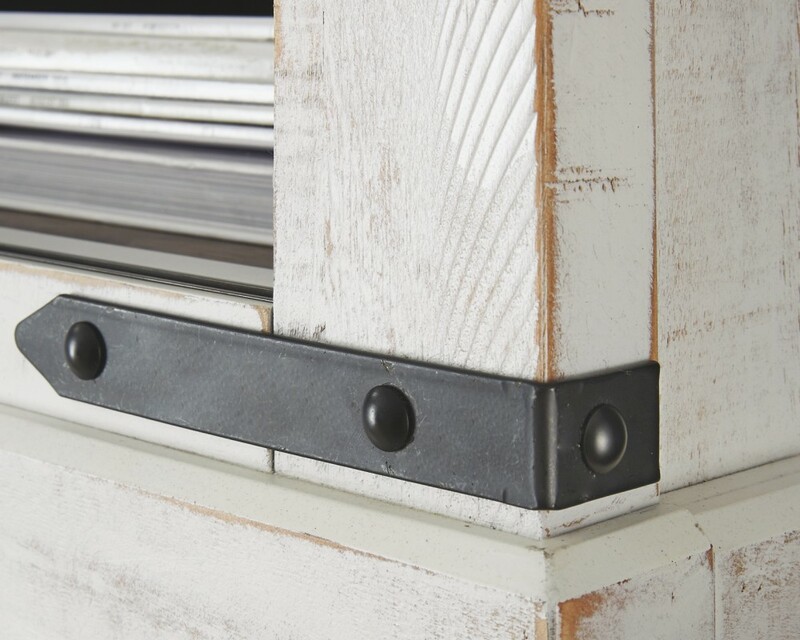 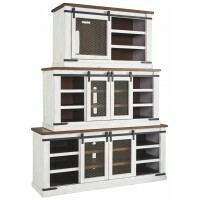 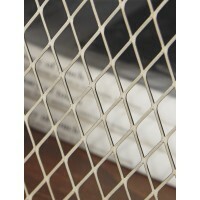 Enhancing its charm: a sliding barn door with inset metal grill and antiqued gray industrial hardware.